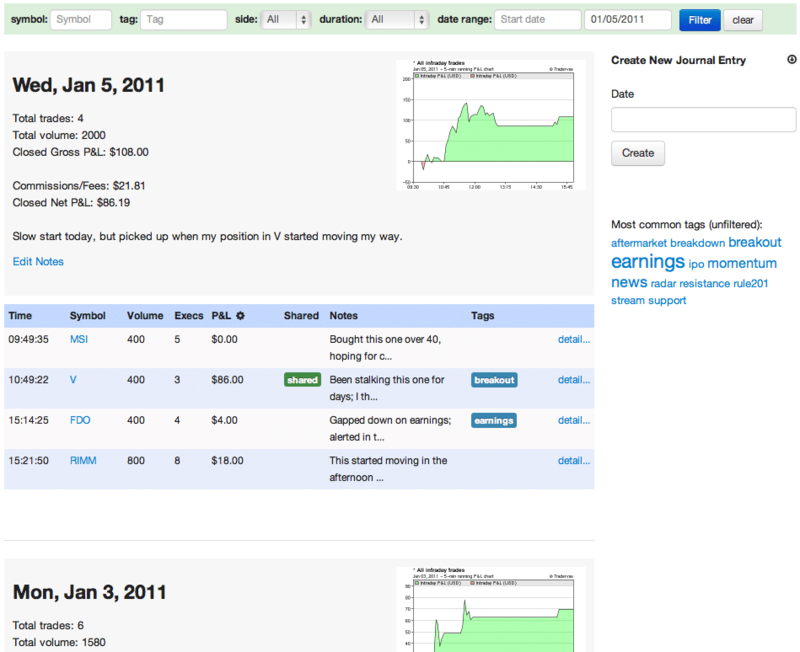 Keep your Trading Journal with ease. 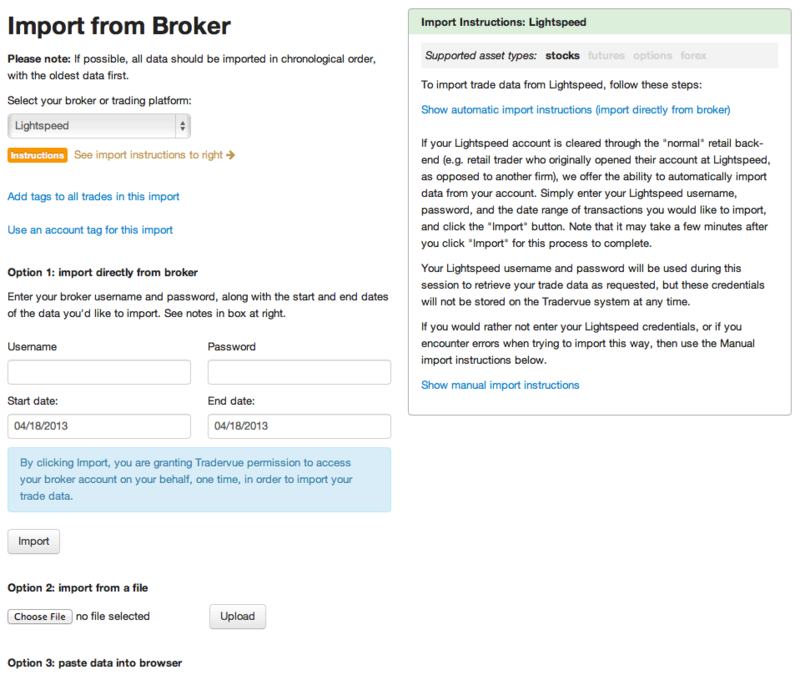 Import your trades directly from your broker or trading platform. All at once, easy as pie. And if for some reason Tradervue doesn't directly support your broker (here's the list), you can enter them manually, or you can import your trades from Excel or a text file. When you record a trade in your journal, charts on multiple timeframes (from weekly down to 1-minute) are available for your review. You'll even see your buy/sell points marked on the charts, even for trades years in the past. 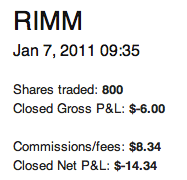 Make notes about the trading day as a whole, even for days you didn't make any trades. The Journal View conveniently groups trades and related notes by day. A summary of the day, a recap of the last week's trading performance, activity on your recent shared trades, and even pointers to trades others have shared in the same instruments you were trading on the last couple of days. 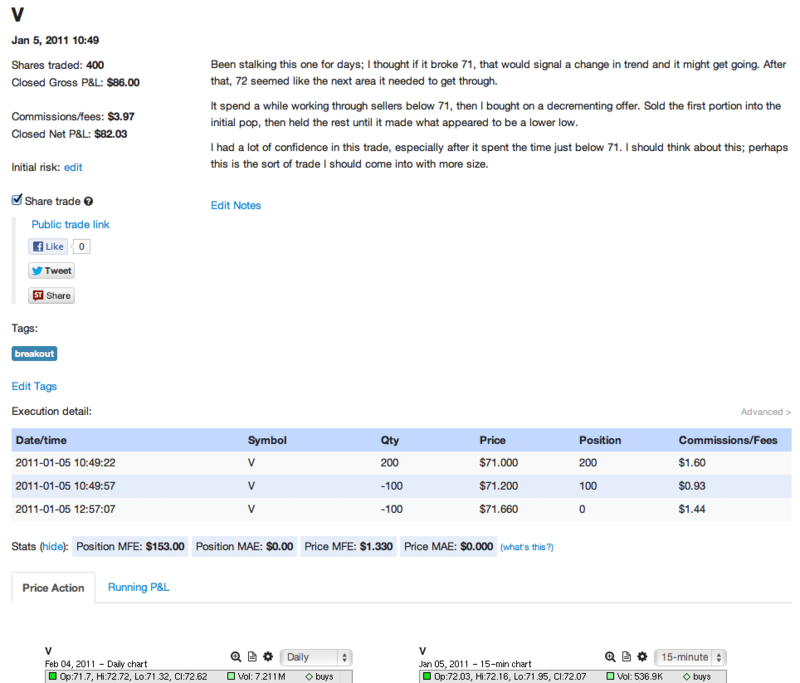 If you work with a trading coach or mentor, you can give them access to your trading data, and you can even see comments and have conversations with them about specific trades. 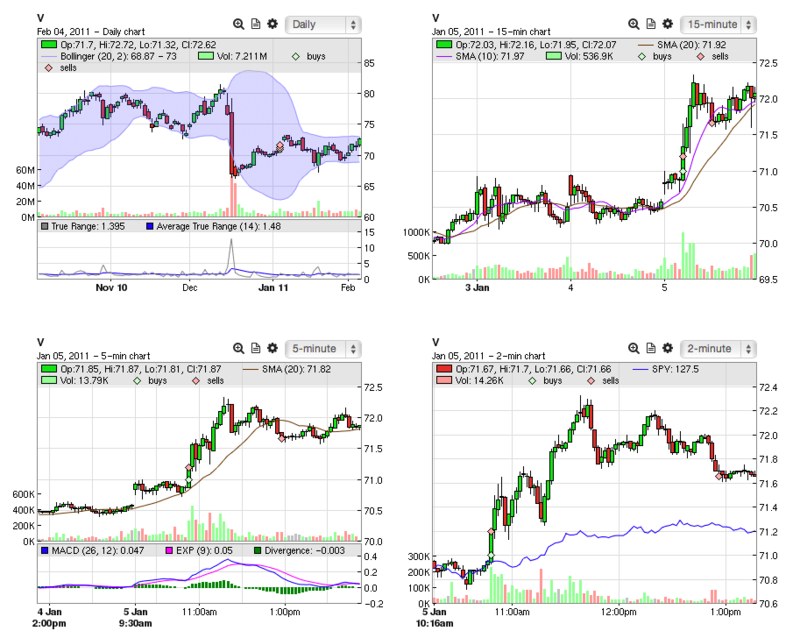 See the same chart studies (moving averages, bollinger bands, ATR, etc.) 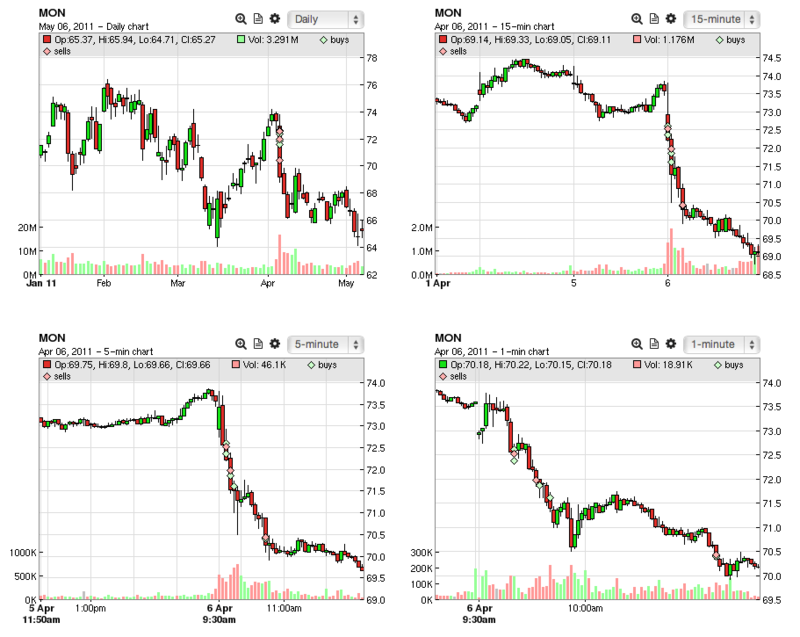 that you use during the trading day, or add comparison charts with an index, sector, or another security. 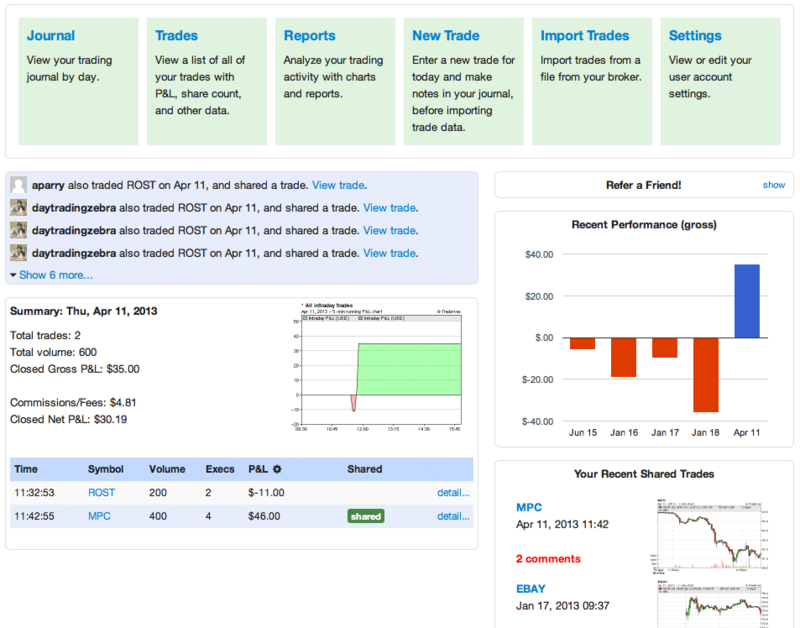 View your trade's P&L over time. And for intraday trades, see your running combined P&L for the whole trading day, highlighting where a specific trade fit into the day. Trades settled in other currencies (e.g. forex, Eurex, etc.) will calculate P&L data and statistics both in their native currency, and in the base currency (USD) for aggregate reporting with other trades. Track commissions and fees, and switch the reports to use either gross or net calculations based on your preference.